Zii’clymnt is fairly young for a Minotaur having just turned 29 on the 10th of Corg this year PA-111. Just over a year and a month past he was handed Lightning Striker, a six foot black longsword with silver runes! He couldn’t believe it when the Elder that had trained him presented him with the sword. Only the tribal elders got to carry these weapons of ancient might. He was tasked with helping his people seek out a life in the world and not die in the caverns of the buried Dwarven Fort. 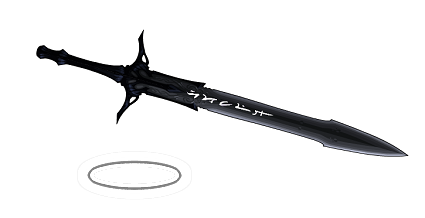 When he ran to tell his girlfriend/mate he was stopped by Groun’na who asked him if Luur’na was given one of these weapons, to which he showed him the bladed ring he was given, would she still need him? Zii’clymnt told him he was crazy but the older minotaur just told him to pay attention to the world around him now, things are changing. Zii’clymnt had become a ranger/scout for the tribe and made to trips to the surface under the cover of night to conduct trade. Aside for getting bigger in 29 years the world had not changed much. He remember when he found Luur’na crying but she would never tell him why. Ever since then they had become friends and then in last two years they had become lovers and mate bonded. He always loved tracking in the multitude of catacombs, tunnels, other tribes that still worshiped one dark gods or another. He had an ancient Dwarven poleaxe that was almost his best friend when he was away from home. Now he had a weapon of the ancients! With the Fair and the Strong dead these relics were all that was left of there empires. Starting to have dreams previous owners, Zii’clymnt, asked Groun’na if he was having the same and the older minotuar told him no but this was the sword’s way of talking to him and seeing if they would be a good match. Groun’na offered to show him how to use the sword so it would not feel so awkward. Zii’clymnt agreed and began spending more time with him and his two friends: Volga and Ca’zan. Zii’clymnt thought that if he could show them the wonders of the plan Luur’na was working on then maybe they might join them when their group made ready to leave. Over the next few weeks Ca’zan began showing up and asking Zii’clymnt to come with him. He kept pointing out the Xerx’ses’s mother was spending an awful amount of time with Luur’na, maybe she was trading the ranger in for her first choice of wizard? At first Zii’clymnt didn’t believe it but then Lightning Striker started talking to him when he slept and just explaining how often he had seen this situation occur between mates of elves, dwarves! While Lightning Striker would not confirm anything he did say that Groun’na warned him about this. It took some time but Groun’na told him that he should encourage Xerx’ses to leave before the others so Luur’na can stop wishing for what did not happen. Ca’zan offered to come along for moral support and wait outside. Xerx’ses was not home when they arrived so Ca’zan just let them both in. When Xerx’ses had returned he found Zii’clymnt going through the pictures he had drawn of Luur’na. Zii’clymnt accused him of trying to steal his mate and Ca’zan lit the place on fire using his rune dagger that would shoot little fire darts from its dark red blade. Zii’clymnt charged Xerx’ses and started to beat him screaming he would not take his mate, while Ca’zan joined in holding Xerx’ses down! Without warning Zeelik arrived with his new mace, Anzuroq and dash both Zii’clymnt and Ca’zan away from his step brother. As he was hauling Xerx’ses charred body out he saw Zii’clymnt look as though his senses had returned, and he ran away screaming, “WHAT HAVE I DONE!” Eventually he found Luur’na and begged her to believe him that the fire was an accident. She tried to reassure him she did and even rebuked Xerx’ses that he was being confused because of the accidental fire. When Zeelik tried to explain about Ca’zan’s involvement and they were trying to burn Xerx’ses alive she flat out called him a liar. Zii’clymnt went back to Luur’na and never looked back. What Zii’clymnt never told her is that he finally felt better and now understood to beat your enemy destroy him utterly or when you’re not looking he’ll do the same to you. Later, Zii’clymnt came back to Groun’na, and has become a member of his group, helping to slaughter most of the Etrinan tribe. Call Lightning, Electrical Field, Wind Rush, Levitate, Invisibility (itself and its wielder), Breathe of Life. Recovers at a rate of 10 per hour. +3 vs any and ALL forms of energy based based attacks. - Total Bonus 6D6+17 +8 to Str, +11 to Parr, +6 to Thr. See Leather of Iron; radiates supernatural evil. Bio-Regenerates 1D6 points per minute. However, it will heal the user first before healing itself!